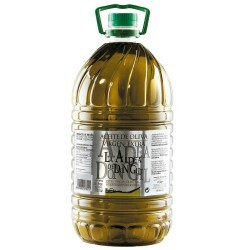 Olive Oil Big Bottle 5 L. Versado Hojiblanca/Picudo. It is an excellent oil to use in our daily cooking because of the properties and benefits granted to our body and good price you can buy. It has a medium intensity, a light sweet when entering mouth and a light touch of bitterness and itching typical of a good extra virgin. 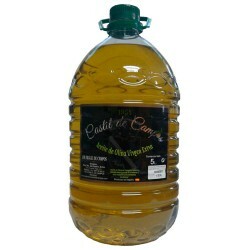 Olive oil higher Quality, in its elaboration is used the Hojiblanca and Picudo varieties. 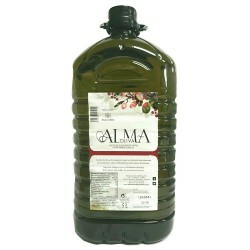 The producer is the Vizcántar Oil Mill located in Priego de Córdoba (Andalusia) which has a long tradition in the production of virgin olive oils. It has a medium intensity, a light sweet when entering mouth and a light touch of bitterness and itching typical of a good extra virgin. Certainly, features that would be appreciated in the flavor of your meals and most importantly, in improving cardiac health, cholesterol and blood circulation.